Nigel Allen November 18, 2017 March 11, 2018 No Comments on AuStrom Second Birthday Bash! Lock Up Your Daughters (And Your Sons)! Hide the Cakes and the Scotch – AuStrom Turns Two! 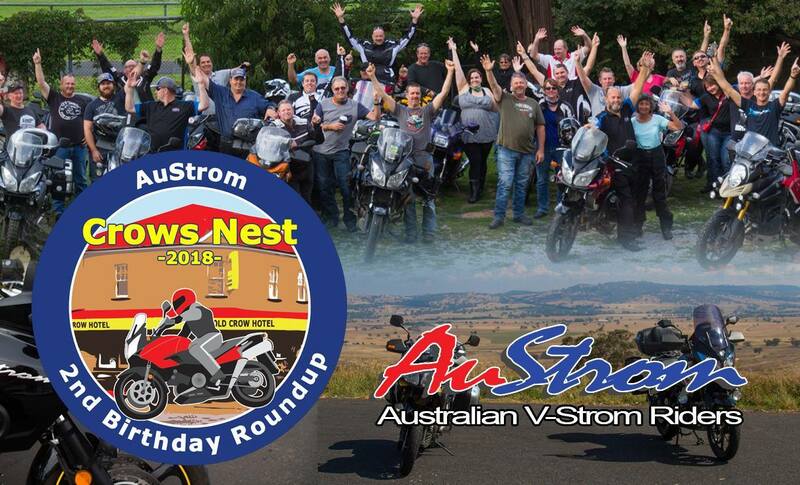 The AuStrom Horde will be descending en-masse on Crows Nest, Queensland for three days – 16th – 18th of March 2018. Come for one day, two days or three days – it’s entirely up to you. Ride, eat, drink and socialise. We’re all going to be meeting up at the Grand Old Crow Hotel on Friday evening for the weekend kick off. Relax, wash the dust out of your throat with a cold one (or two). For those who book, dinner will be supplied in the form of pizza and hot and cold platters – and for $10.00 a head you won’t find any better value than that! Big Day today! After a leisurely breakfast and a poke around town, we’re all riding up to Wivenhoe Dam for lunch (pre-book on the registration page) at the cafe. There will be two routes out and back, one bitumen and one dirt for those feeling a little more adventurous. Saturday night is the official AuStrom Birthday Celebration dinner at the pub and it’s going to be a big one. The “Old Crow” is providing us with a two course buffet dinner plus entertainment for the very reasonable price of $30 per head. I’m told that they also do a great line in “cake and scotch”. We’ll also be holding the raffles that night and will be giving out a number of awards to our members. All good things must come to an end, and so our Birthday Bash closes down for another year. A hearty breakfast and strong coffee? Or just a couple of paracetamol and no noise? Your choice. So what happens in Crow’s Next? The back room team have been very busy again (take a bow Graham and Co) and have really excelled themselves. Get a load of this beauty! Available in sizes Small to 5XL so grab them while you can – grab a couple for the family as well! Given that we are such a diverse bunch, we’re offering a diverse range of accommodation some of which are offering a discount for members. Please note: you must book your own accommodation! Crows Nest is a unusual Australian rural town serving the surrounding rural district which produces beef and dairy cattle. The town’s uniqueness is a combination of its celebration of Jimmy Crow, an Aboriginal named by early settlers, who lived in a hollow tree; its huge and fascinating Salt Antique store; and its uncharacteristic village green which lies at the town centre. It is reputedly the only town in Australia named after a local Aborigine. Crows Nest is located 169 km west of Brisbane via Toowoomba. It is 527 m above sea-level. North of Salts Antiques on the New England Highway (Thallon Street), is the Carbethon Folk Museum and Village. It currently includes more than twenty buildings. The village includes such gems as the original Ray White Auctioneer building (Ray White has subsequently become a national real estate franchise); a replica of an old one teacher school; an extensive machinery shed; a slab hut; a blacksmith’s shop; the Highfields Baptist Church and the remarkable Carbethon homestead which was built in the 1880s. It has been a folk museum since 1978 . It is open Thursday, Friday, Saturday and Sunday from 10.00 am – 3.00 pm. For more information check out http://www.crowsnestmuseum.org.au/ or tel: (07) 4698 1776. Located at 1 Thallon Street, Roger Salt Antiques is housed in an elegant Edwardian building. It is a rarity: an antique shop where, because he prides himself in being an “international importer”, Salt has developed an amazing display of items ranging from Vespa motor scooters to old engines, bottles, clocks and antique furniture. The store is open from 9.00 am to 4.00 pm seven days a week. 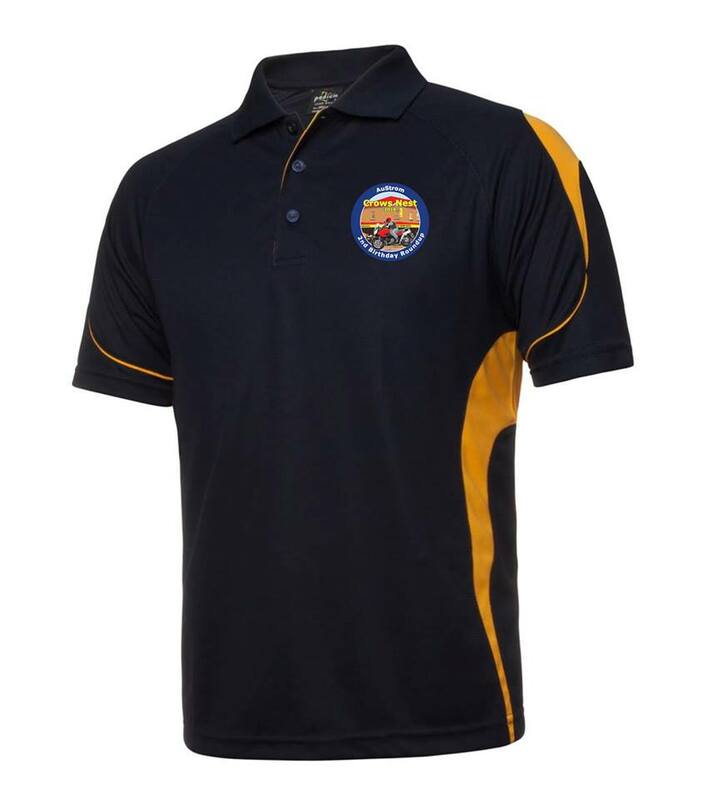 tel: (07) 4698 1266 or check out his Facebook page at https://www.facebook.com/rogersaltantique. Just a few months away!